Automotive cybersecurity solutions will challenge suppliers and manufacturers with a host of underlying risk topics that should push the national and international discussions in the coming years. It’s a given that the modern automobile is becoming a computer on wheels. That means, like a computer, they are vulnerable to hacks from malicious outsiders. Of course, rebooting a computer is just tedious. Losing control of your car while driving down the freeway is another risk entirely. There have been some real-world hacks and multiple “white hat” hackers that have made their discoveries known leading to costly software patches for auto makers. Monitoring has been left to individual companies who must balance the costs and value without documented need or requirement. 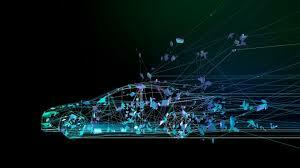 With the many risks throughout the automotive system the engineering community is discussing more likely risks like “Denial of Service” attacks against individuals or fleets where hackers would disable vehicles. New hacks are always being created and dated software becomes more vulnerable. There are many risks throughout the automotive system and a need for automotive cybersecurity solutions. If a cyber-criminal can control your automobile the car must be fixed. The automobile industry must determine if it’s safety-related worthy of acting on a grand scale or only cause petty crime or inconvenience to the customer. Car companies may soon be implementing re-flash communication technology software downloads akin to smartphone over-the-air updates. Automotive companies will want to stand behind their product and user experience and will need to provide ongoing automotive cybersecurity solutions. One hurdle for the auto industry is with cybersecurity companies who create algorithms and monitoring of the vehicle and no longer support it. Another hurdle is that countries or regions have different laws about collecting personably identifiable information to protect the consumer’s privacy, but the risk is that this might hamper cybersecurity. The hurdle here is that some governments rather than encourage cybersecurity create obstacles that the cost/benefit analysis causes automakers to do less. Automotive cybersecurity solutions will be a driving force for manufactures to implement in vehicle monitoring and protection.